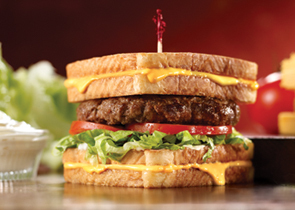 Friendly’s just unveiled a new sandwich, Its called the grilled cheese burger melt and it’s exactly what you think it is. It’s a burger between 2 grilled cheese sandwiches. Men and butch lesbians everywhere rejoice.